Don’t miss it, don’t even be late. That time of year for us northerners has come…The Fair. An exciting event that is both the epitome of summer as well as it’s end. I have always loved the Fair. And even though I may not go very often, the memories I have of funnel cakes, curly fries, corn dogs (yes, most of my memories surround food), as well as the games and the picturesque ride on the ferris wheel, will always stay with me. In honor of this wonderful tradition, I have found some fun Fair nostalgia to share! 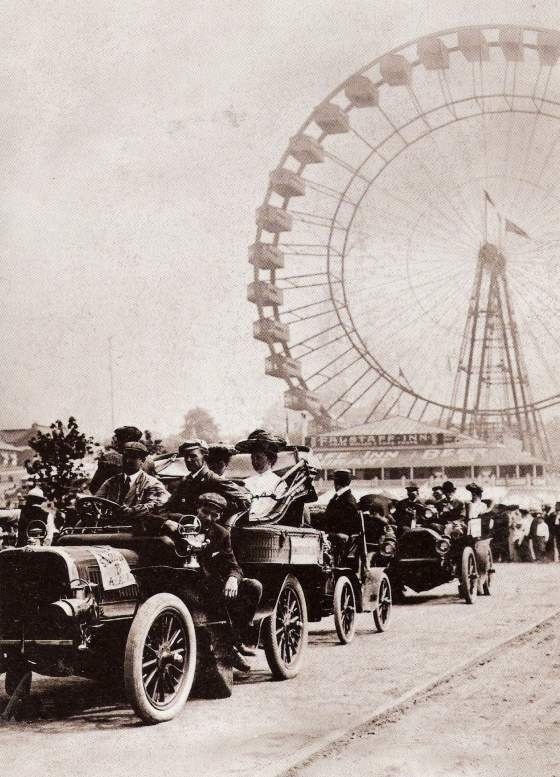 The cars, the fashion, the ferris wheel…..so much fun! I wonder how long those ladies’ hats will stay on their heads? 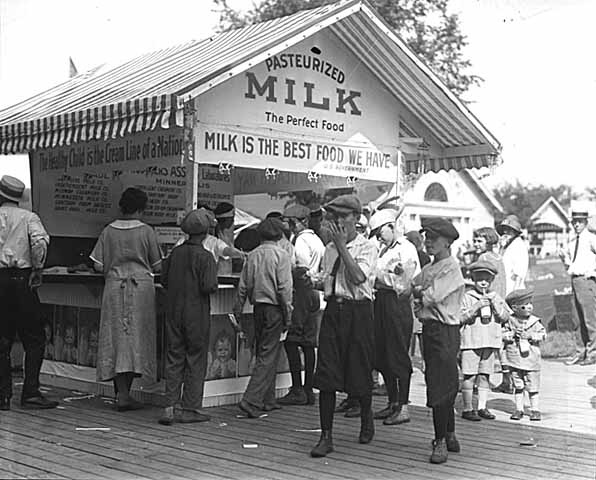 This Milk Stand seems a much better choice than the deep fried Oreo stand. Not tastier, just better! 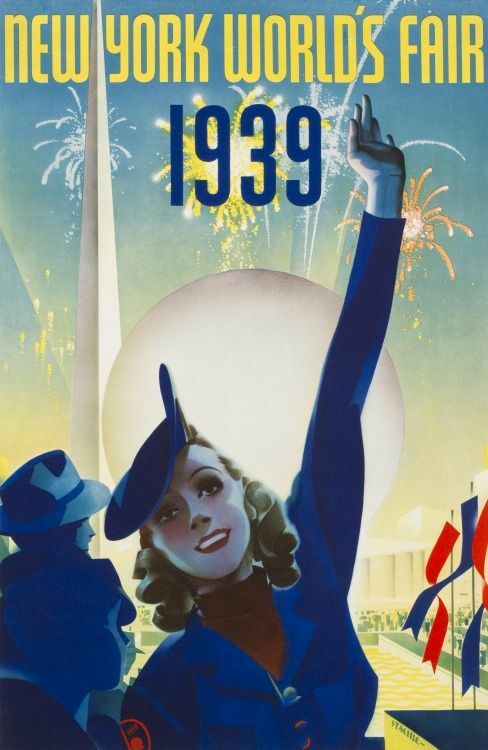 Stunning art on this World’s Fair poster…. This ferris wheel is absolutely amazing! 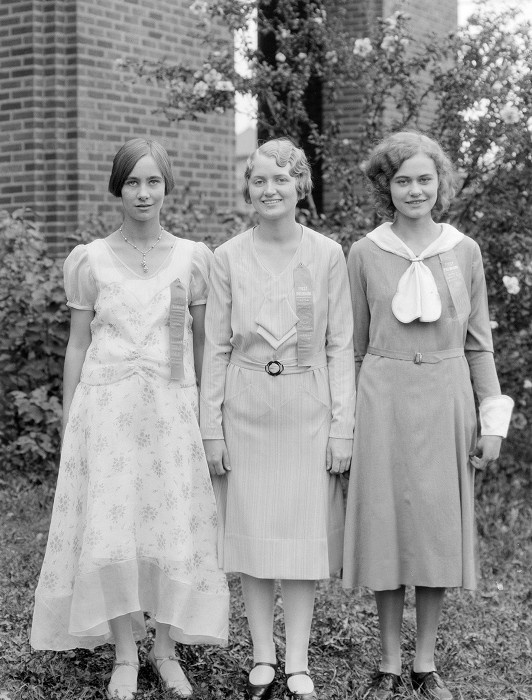 Proud young ladies showing their creations and accompanying ribbons. 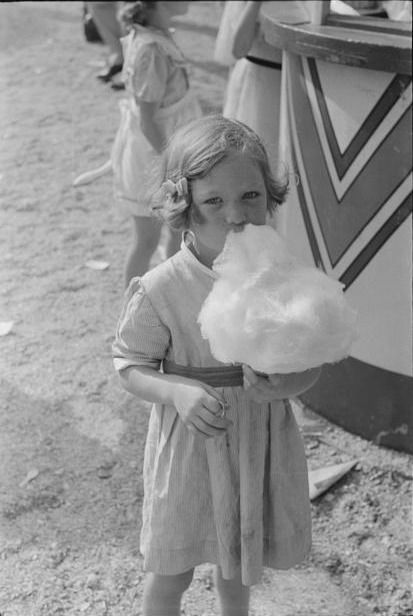 The quintessential Fair food: cotton candy! Did you ever read Devil in the White City? It’s about the making of the Chicago World’s Fair (aka the Columbian Expo), as well as the politics around it, a serial killer, and really interesting things about the architectural firms of Chicago. 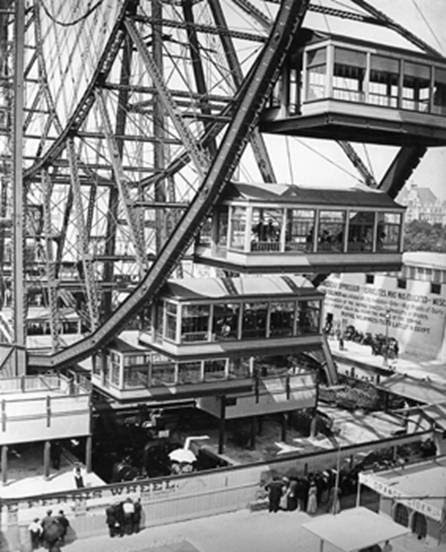 But the Ferris Wheel was first designed for it, and so I always think of the book when I see a Ferris Wheel! 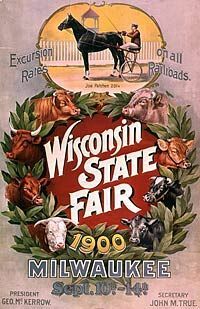 I grew up in the town that held my county’s county fair every year, and I miss going to it! Every kid in my school would get the week-long passes, and go on every ride again and again — and for high schoolers, we often went without parents so it was a great place to run wild! I’ve heard of that book. I was always a little nervous to read it based on the topic, but I have talked to people who have really enjoyed it. I also lived near a county fair growing up and I would go with my friends for the day and it was my first taste of freedom! 🙂 When I think about what we would eat though, it makes me wish for the days when my metabolism was much higher! I used to love the county fair. I enjoyed seeing the livestock, especially the ornamental poultry, and then eating corndogs and funnel cake. Once, I made the mistake of having my treats before enjoying the rides and ended up quite ill, but I had friends to see my home safely. 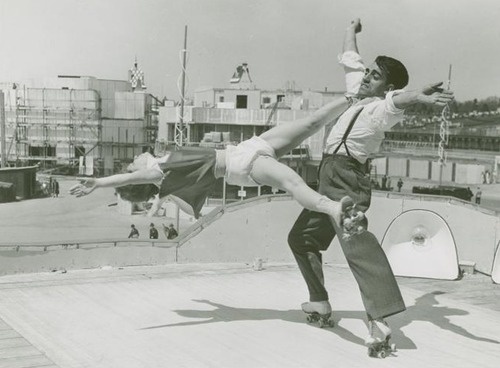 And it was a wonderful place for young romance. The town near me has a “Retro Town Fair” during their Labor Day festivities sometimes, and I had thought about entering either a pie or a piece of crochet, but sadly I will be away the day of the fair this year. Next PostNew Takes on a Few Old Favorites….